California is calling in the National Guard for the first time to help protect communities from wildfires like the one that destroyed much of the city of Paradise last fall. SACRAMENTO, Calif. — California is calling in the National Guard for the first time next month to help protect communities from devastating fires like the one that largely destroyed the city of Paradise last fall. He referred questions about the latest effort to CalFire, which is directing the Guard’s new assignment. “CalFire is taking the Trump approach, logging the forest and weakening critical environmental protections, and that’s the exact opposite of what we need to be doing,” Center for Biological Diversity scientist Shaye Wolf said. 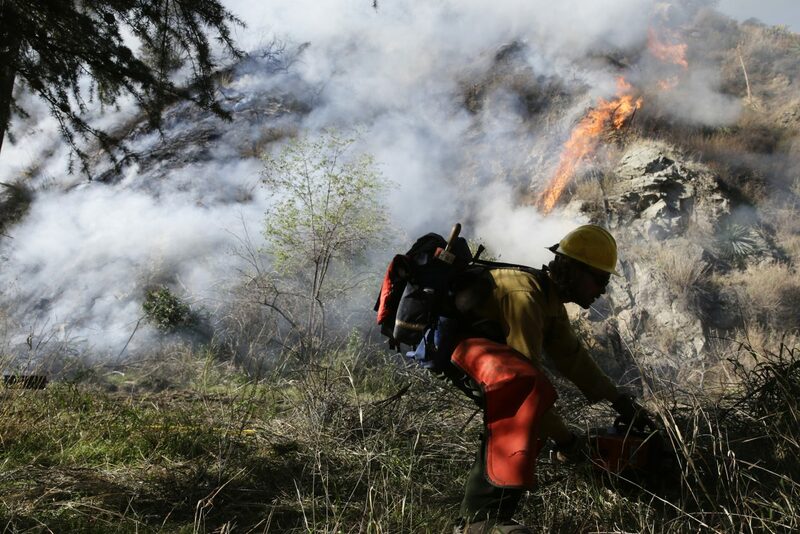 CalFire this month listed 35 fuel-reduction projects it wants to start immediately, covering more than 140 square miles (362 square kilometers) — double the acreage in previous years. But state officials estimate 23,438 square miles (60,704 square kilometers) of California forestland need thinning or other restoration.